Art Classics Made Into Cartoons! Artist Lothlenan has been taking some of the greatest works the human race has ever made and introducing them to Cartoon Network and it is kind of incredible. "Mr. and Mrs. Andrews" by Thomas Gainsborough + Earl of Lemongrab and Lady Lemongrabs from "Adventure Time." 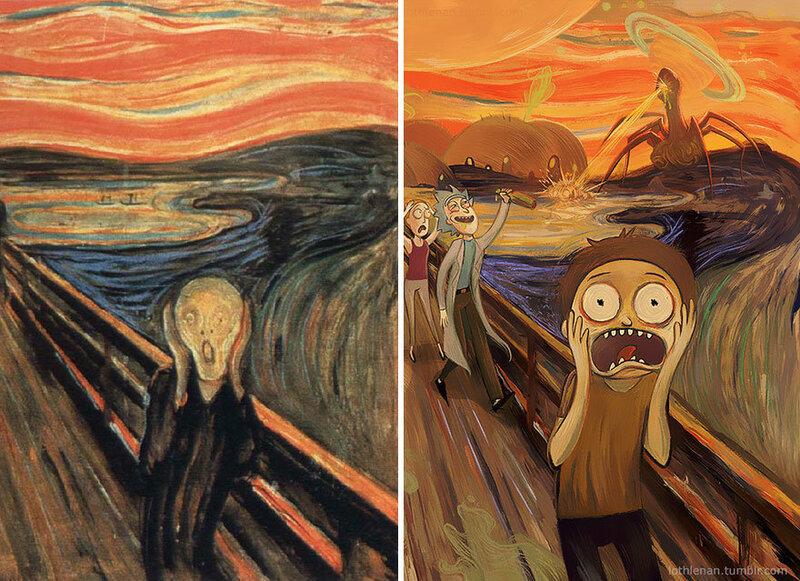 "The Scream" by Edvard Munch + "Rick and Morty." 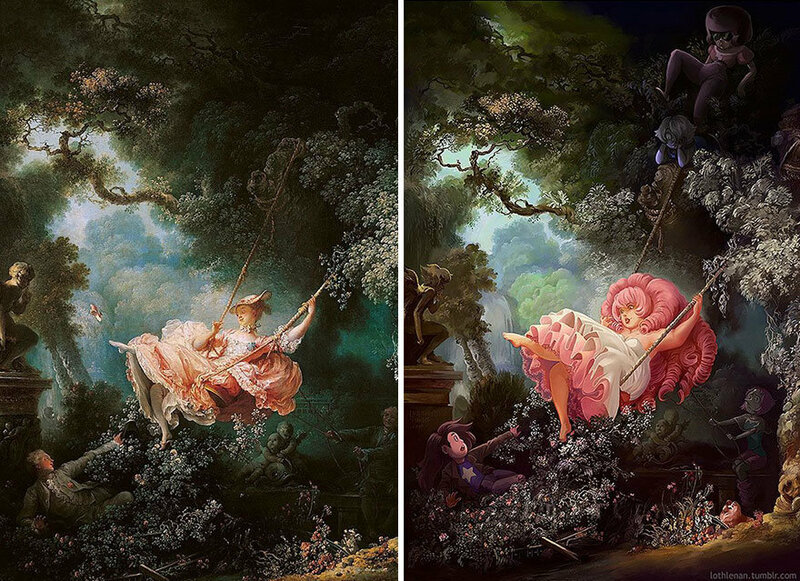 "The Swing" by Jean-Honor Fragonard + Rose Quartz from "Steven Universe." 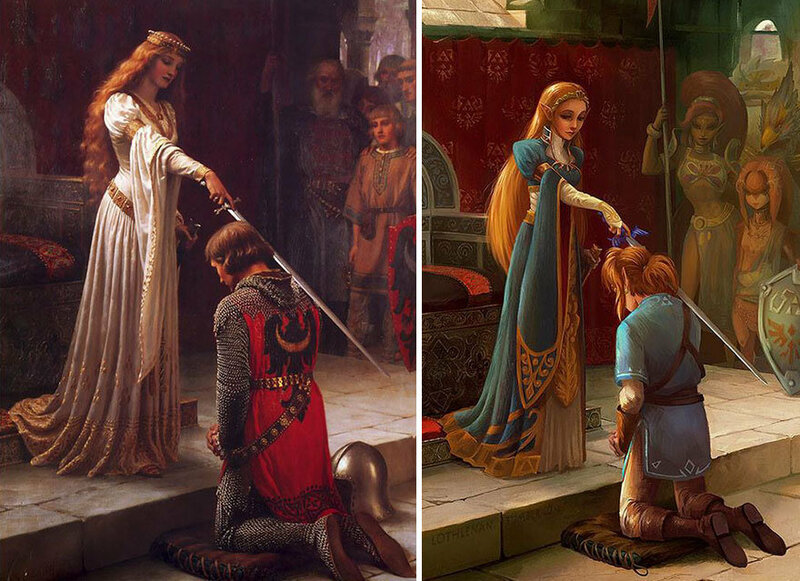 "The Accolade" by Edmund Leighton + Link and Princess Zelda. 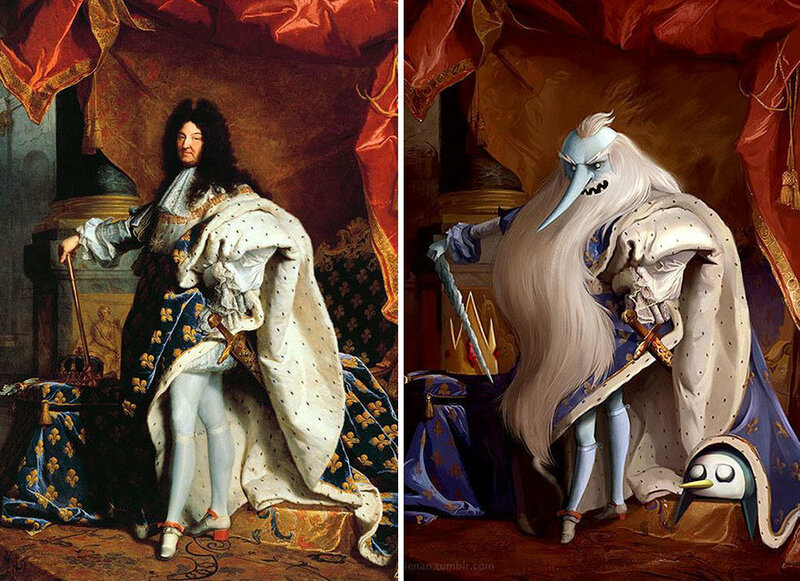 "Portrait of Louis XIV" by Hyacinthe Rigaud + Ice King from "Adventure Time." 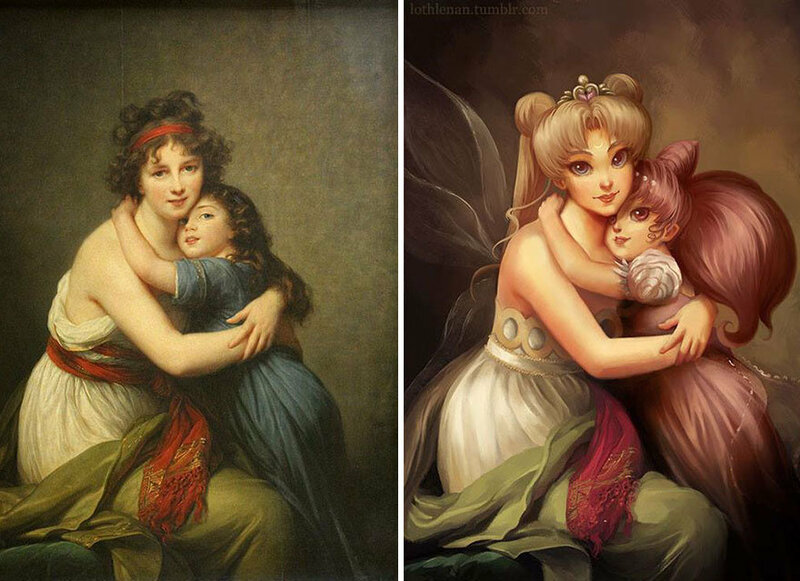 "Self-portrait with Her Daughter" by lisabeth Louise Vige Le Brun + Sailor Moon and Rini.